Soy is considered a priority food allergen by Health Canada. Priority food allergens are the foods that cause the majority of allergic reactions. Soy comes from soybeans, a type of legume. Soybeans can be made into flour, soy milk, tofu, oil, and other products. Although soybeans are a legume, a person with a soy allergy may not be allergic to other legumes, including peanut. A soy allergy is most common in infants, however many children do outgrow soy allergy. Soy allergy can also be a lifelong condition. If your child has a soy allergy, consult with your allergist before reintroducing your child to soy products. People who are allergic to soy may not need to avoid soy oil. Soy oils tend to be refined enough to remove all of the proteins that can trigger allergic reactions. However, if you have soy allergy, consult with your allergist before eating anything made with soy oils. Soy lecithin is a food additive derived from soy bean oil and typically does not contain sufficient protein to cause allergic reactions. 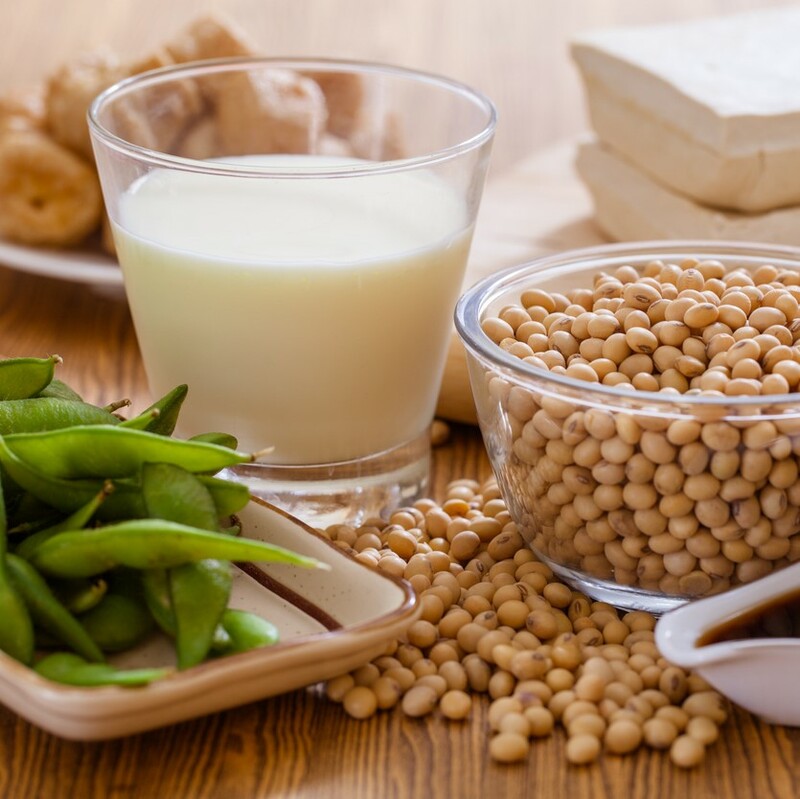 However, as soy lecithin is not completely protein-free, some individuals who are allergic to soy may still have a reaction. If you have a soy allergy, consult with your allergist before eating anything containing soy lecithin. An allergic reaction usually happens within minutes after being exposed to an allergen (e.g., soy), but sometimes it can take place several hours after exposure. Anaphylaxis is the most serious type of allergic reaction. If you have a soy allergy, keep an epinephrine auto-injector (e.g., EpiPen®) with you at all times. Epinephrine is the first-line treatment for severe allergic reactions (anaphylaxis). Read ingredient labels every time you buy or eat a product. If the label indicates that a product “Contains” or “may contain” soy, do not eat it. If you do not recognize an ingredient, if there is no ingredient list available, or if you don’t understand the language written on the packaging, avoid the product. Watch for cross-contamination, which is when a small amount of a food allergen (e.g., soy) gets into another food accidentally, or when it’s present in saliva, on a surface, or on an object. This small amount of an allergen could cause an allergic reaction.